The launch of Google’s new Pixel smartphones brings the Nexus era to an end. Actually, the official line is that Google is keeping its options open, but unless the Pixel fails, it seems unlikely the company will resurrect its enthusiast brand. Early rave reviews would suggest that failure is not on the cards. But the Pixel is not for everyone 5 Reasons the Google Pixel Phone Will Flop 5 Reasons the Google Pixel Phone Will Flop There is a lot of hype surrounding the new Google Pixel phone, but the phone probably won't hit its mark. Read More . And many people who would have snapped up a new Nexus on day one might now find themselves looking for an alternative. So what are your options? Nexus phones were popular because of their unique combination of characteristics. They ran stock Android. More accurately, this was stock with a layer of Google apps and services on top. But these apps and services were on every other device as well, so they felt like an integral part of Android rather than bloatware How to Remove Bloatware on Android Without Rooting How to Remove Bloatware on Android Without Rooting Did your phone come with a bunch of crappy apps pre-installed? Let us show you how to get rid of them the easy way. Read More . Contrast this to the Pixel phones, which run Google’s version of Android in the same way that the Galaxy S7 runs Samsung’s, or the Honor 8 runs Huawei’s. They received updates as soon as a new version of the operating system was released. This will be true of the Pixel, too. Sadly, Google phones are still the only ones that can be relied upon to receive updates in a timely manner 7 Reasons You'll Want to Upgrade to Android Nougat 7 Reasons You'll Want to Upgrade to Android Nougat If you're thinking about making the jump to Android 7.0 Nougat, maybe these features could convince you. Read More , if at all. That had an unlockable bootloader. They were ideal for rooting and modding, which further cemented their reputation among enthusiasts. Nexuses became the go-to devices for flashing custom ROMs or installing mods through the Xposed Framework. The Pixel phones will also have an unlockable bootloader, but only if you buy it from Google, not from a carrier like Verizon. They were very affordable. This is actually only true of half the Nexus phones — the other half were released at iPhone prices, just as the Pixel is. But the most beloved Nexuses — the Nexus 4 and Nexus 5 especially — were incredible value. It isn’t easy, especially if you value updates more than anything else. But you do have a few options to consider. For a Nexus-like phone, the OnePlus 3 ticks most of the boxes. It’s very affordable and has great specs. It runs a version of Android which, while not actually stock, is only lightly customized, and in useful ways. It’s easy to root and has a vibrant development scene producing ROMs, kernels, and other mods. Even for updates, it isn’t a million miles behind. OnePlus has said that the phone will get Android 7.0 by the end of the year. It’s a great device in other respects though. 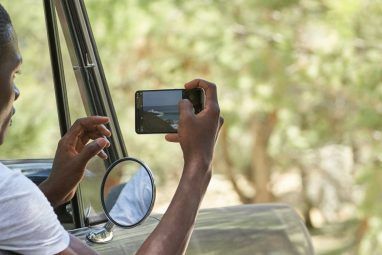 A fast processor, more RAM than any other smartphone, a large HD display, and decent battery life. The Moto G range has always impressed with its combination of great design, price, and performance. The mid-range Moto G4 Plus continues that. It runs a very lightly skinned version of Android — there’s no bloat, just a few clever enhancements — and is expected to be upgraded to Android Nougat before the end of the year. The unlocked G4 Plus is easy to root and has a healthy selection of ROMs and mods, including the ever-popular CyanogenMod ROM 6 CyanogenMod Features We Need in Stock Android 6 CyanogenMod Features We Need in Stock Android Android is a great operating system, but it could be even better if it took these features from CyanogenMod. Read More . Given the low price, the specs inevitably don’t compare to devices like the OnePlus 3. But if you’re looking to save some money, it’s a very well-regarded phone. All of Motorola’s other Android phones have similar Nexus-like qualities and are worthy of consideration. The Moto Z range in particular offers a number of models with bigger batteries or more powerful processors. Some of them are great value, too, although they’re priced somewhat higher than the G4 Plus. ZTE is one of the world’s largest phone makers, but the company isn’t well known in the West. The Axon 7 could change that. It’s a phone that squeezes flagship specs and design into a $399 price point. As such, it seems like an obvious Nexus replacement. The software is ZTE’s own, but the US variant comes with a stock Android theme running by default. ZTE has also said that it will be updated to Android 7.0 Nougat this year. The downside is the rooting situation. It is possible to unlock the bootloader on the US model, but ZTE states that this will invalidate your warranty. Other regional variants may not be unlockable at all. Perhaps the most interesting thing about the Axon 7 is that it’s the first third-party phone to be compatible with Google’s Daydream View VR system Google Unveils New Pixel Phones, Chromecast Ultra, & More... Google Unveils New Pixel Phones, Chromecast Ultra, & More... Google has unveiled a host of new hardware, including new Pixel phones, the Chromecast Ultra, the Daydream View, Google Home, and Google Wifi. Read More . A companion headset can be bought separately. There are a few others you might want to consider, but none of them quite fit the Nexus mold for one reason or another. Huawei’s Honor 8 has the great-spec-for-affordable-price thing going on, but it has very heavily customized software including the loss of the app drawer. The phone can be rooted, but there aren’t many ROMs available to replace the stock software. The HTC 10 (CA/UK) (our review HTC 10 Review HTC 10 Review There's little to complain about with the HTC 10, aside from the mediocre battery life and quiet speakers. But there's nothing about it to get excited about, either. Read More ) is easy to root and has loads of ROMs and kernels, so it’s a good choice if modding is your thing. It isn’t exactly cheap, though. And then there are smaller names, like the newcomer to the U.S. market, LeEco. The Chinese company’s new Le Pro 3 (UK) phone has high-end specs, good build quality, and a big battery — all for $399. It also has very heavily customized software built around LeEco’s software ecosystem. This could be replaced with a custom ROM, as long as enough developers adopt the handset to work on. You don’t have to buy a new device to get the Nexus experience. You can use software to recreate it on your current phone. A few select apps from the Play Store will get you part way there, or if your phone is rooted, you can go all the way with a stock-based ROM. Install a launcher. The Google Now Launcher is good; the Nexus Launcher (now known as the Pixel Launcher) is better. You can customize it to look like any recent version of Android, or your favorite parts of all of them. Download the Google apps. Get any Google apps you don’t already have — this includes the Dialer app. The Play Store version only works on Nexus devices, but you can also find an unofficial modded version that works on anything from XDA Developers. Disable bloatware. Once you have all the Google apps, you should disable all the bloatware that manufacturers install on their devices. Go to Settings > Apps, then find the apps you don’t want and select Disable. You can’t do anything about the other changes manufacturers make in their software, like redesigning the notifications pane. Unfortunately, the phone also won’t be any faster. If the stock software is bloated and slow, that won’t change. Alternatively, you can flash a custom ROM How to Find and Install a Custom ROM for Your Android Device How to Find and Install a Custom ROM for Your Android Device Android is super customizable, but to fully take advantage of that, you need to flash a custom ROM. Here's how to do that. Read More to completely replace your phone’s software with something more like that which you would find on a Nexus. You don’t need to be rooted to do this, but you do need to have an unlocked bootloader, and for ROMs to be readily available for your device. CyanogenMod is the best place to start. There are official or unofficial builds for all but the most obscure handsets. It has a few extra features including theme support, call blocking, and a permissions manager, but this never gets in the way of the stock Android look and feel. Those of us who are long-time Nexus fans will miss Google’s enthusiast phones. 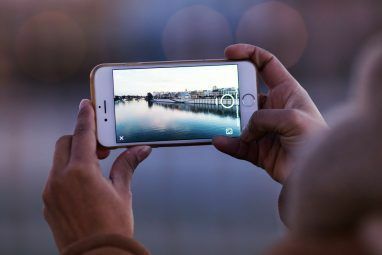 But while there isn’t a direct replacement, the range’s spirit lives on in the growing number of affordable-yet-high-end devices from the likes of Motorola and OnePlus. 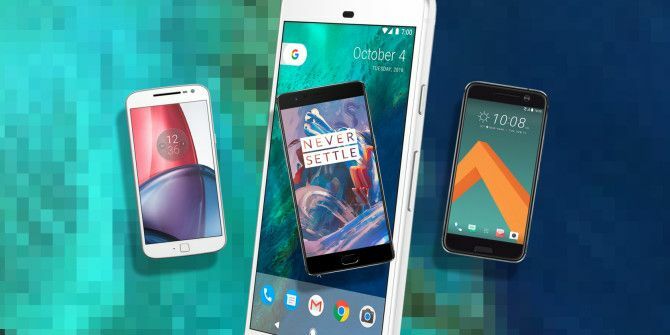 Or if you don’t want a new phone just yet, the right combination of ROMs and apps will get you a taste of the Nexus experience on your current handset. Are you a Nexus fan? Will your next phone be a Pixel, or something else? Let us know in the comments. Explore more about: Google Nexus, Google Pixel. 6 Essential Apps for Photographers on Android and iOSWhat Is the Best Contacts & Dialer App for Android? Can we get an update to this list with some of the newer options and maybe a few available in the US? If the issue is updates, security and a vanilla Android experience then the upcoming Dtek60 should be on the list. Or just grab the exisiting 5.2" Dtek50. How anything following as a Nexus alternative and the words "very heavily customized software" can even end up in this article and no mention of a Dtek is beyond me. Come on people, its time to get serious about getting updates. 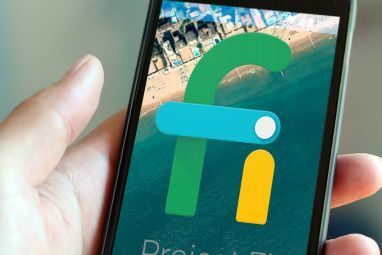 Get a Nexus 6P through Google Project Fi. So did I. I LOVE Project Fi and my 6P. Great phone as I greatly appreciate stock ROM and you can't beat the phone bills. I've had Nexus 4, and still have (and use) Nexus 5, 6, and 6p. Won't be buying either pixel phone. Shall wait for the one plus 4 in summer 2017. New pixel phones are way too expensive!! My 5X has got plenty more life in it yet. The One Plus 4 is the one I'll be waiting for too. My main life concern is the monthly security updates, which I consider essential. They will continue through at least September 2017. When they do stop I will reassess the situation. Perhaps Google will have come to its senses by then. The pixel right now is the phone to buy. So why loom at so etching else? Translation, I cant figure out android I need fisher price lol. I think most manufacturer skins are a lot more fisher price than stock Android! Sorry but you have missed Motorola X Play, X Style and X Force from this list. All great Nexus alternatives. I did say that all Motorola phones are good alternatives. I do think they've got too many phones, though, which makes it complicated to find the right one for you. Simplicity was another part of the Nexus appeal. This week I will buy iPhone. I'm long time Nexus owner (from Nexus 4 to Nexus 5x). There is no reason to stay with Android anymore. I'm fan of Nexus too... Now I see pixel same as iPhone doest worth that much money..
Really? That's the stupidest comment I've heard in a while. You're willing to switch to one of the most locked down phones around, and pay the same price as a pixel anyway? If you were really a long time Nexus user, you would never just switch to an iPhone. Yeah, the Nexus was pretty much the polar opposite of the iPhone.